The first open-world environment that arrived to Warframe, the notorious Plains of Eidolon, got updated today. Plains of Eidolon got a lot of content for players to do, and it is an open-world area, which at the time was new for players. The very first time that players got to experience a non-linear area, but it had a few problems. Even today, you only go to the Plains of Eidolon if you’re looking to farm some end-game stuff. New this area got a makeover which includes a stunning visual overhaul, new foes to battle, more diversions, the whole game received dynamic lighting, and so on. As a game, Warframe looks pretty superb all things considered, but the devs wanted to make everything even prettier. Terrain textures got greatly improved, the day and night cycle has been enhanced, and overall players should be getting a better performance in this place, which is awesome. Graphical enhancements and performance boosts are always welcome. 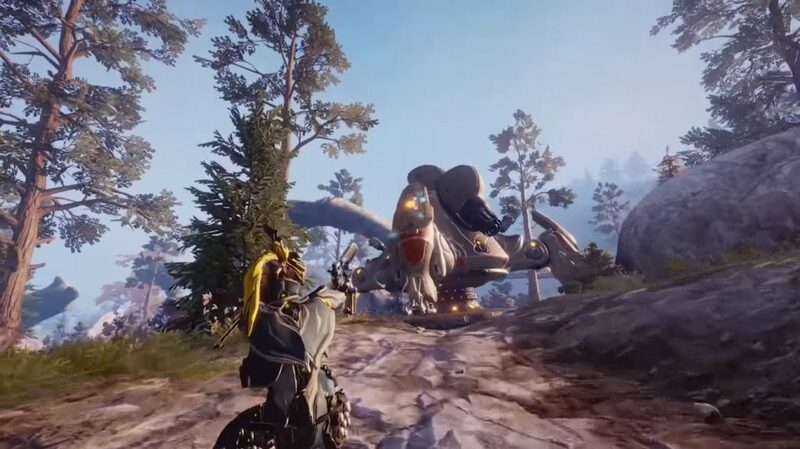 Now, for Warframe players that were thrilled to capture animals in the game’s last big expansion, that feature will now be possible in the Plains of Eidolon as well. That’s right, using the Echo-Lures will call animals which you can trap. Collect enough of them and you can even get a cool badge and some cutsie Floofs as well. After all, who wouldn’t want their space ninja to have adorable alien pets? But, the problem with this place is that it isn’t friendly to new players. The new type of Grineer machine doesn’t fix that problem, it just adds to it. Those of you that don’t have high-level characters should avoid these Tusk Thumpers, which are basically walking fortresses that have a hidden weakspot. 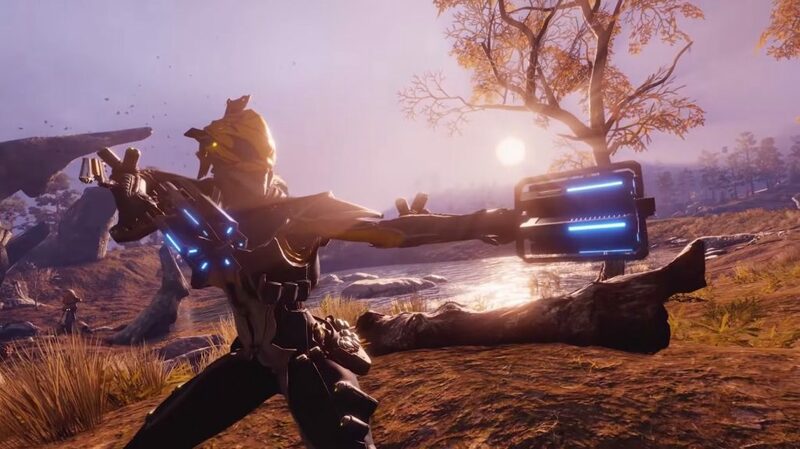 Warframe needs to find a way to let newer players and lower lever characters experience these zones and give them any kind of combat missions to do. 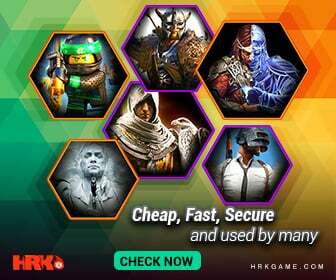 Otherwise, they are mostly deserted, except for a few high-level characters that are farming there and looking for specific materials or blueprints. Warframe is a game that features ninjas, similar to those found in Sekiro, but set in space and it has guns and stuff. 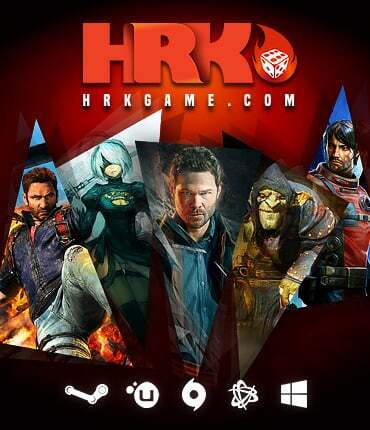 It’s also free to play, so give it a shot if you haven’t before.